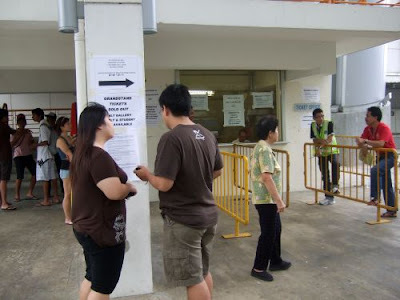 Was at Jalan Besar yesterday afternoon to take a look how the ticket sales, when the organizers decided at the eleventh hour to put the tickets on sale on Saturday, which was slated as a non-sale day. 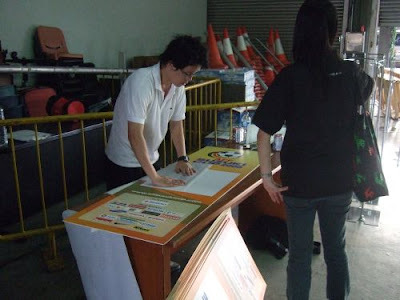 Although there was no long queue for the tickets, the fans slowly turned up at the ground to buy their tickets. When asked how they came to know the tickets were on sale, many of them replied that they got to know "last minute" sale via the papers and from the internet. 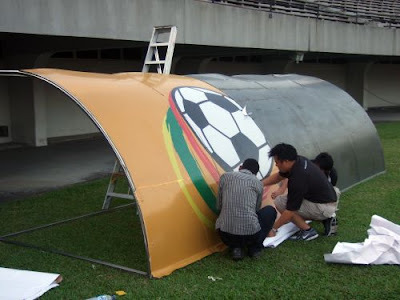 Next stop to the National Stadium and saw the staff busy prepare the deco for the match. 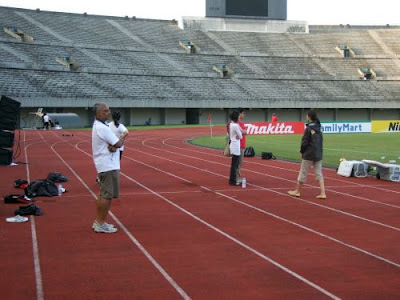 The thing is everybody can just walk into the National Stadium to catch the team in training, although one must be discreet in snapping pictures while the training session is on, as coach Raddy is rather particular about this. Yeha....congratulation the soccer semi end like in favour of Vietnam. Vietnam team is far more superior than Singapore in term of passing, ball controlling, inteligent and tactical play. All that without any foreign talent. Thats is the bigger scale achievement. 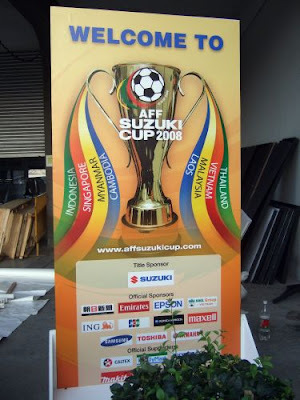 For Singapore soccer, you deserve it. 3/4 of singapore first 1 lineups cannot control and play soccer to theminimal requirements and still they had been field. 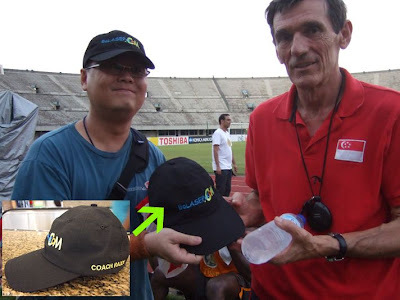 Hey... foreign talents will join Singapore is because Singapore is multi-racial. Unlike you viets so one-sided only care about your own race.